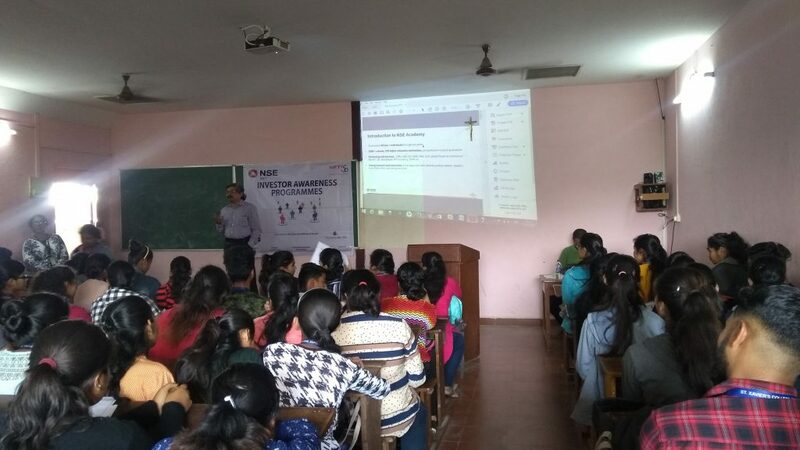 The Department of Commerce in association with the National Stock Exchange, Mumbai organized an Investor Awareness Programme for the students of First Year B. Com on 15th January, 2019 at 12 p.m. in Room No. 108. The purpose of the programme was to create awareness amongst the students regarding investment in the capital market and to educate them about the benefits of financial markets. 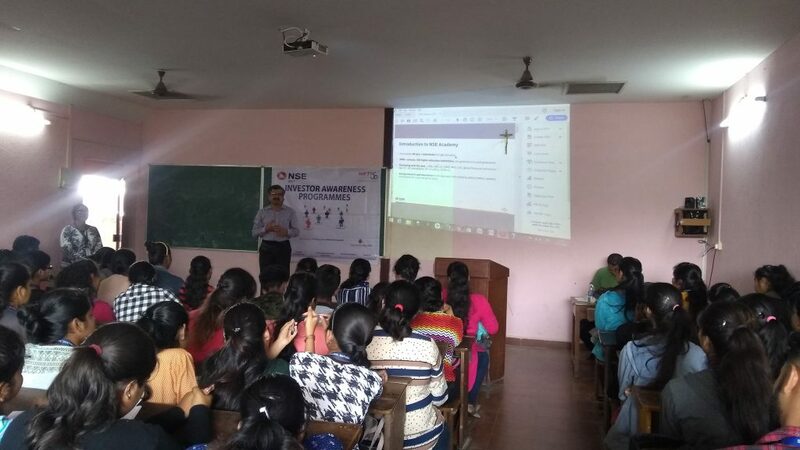 Mr. Kaustubh Kulkarni, NSE, Mumbai the resource person gave a brief introduction about NSE and enlightened the students about the types of frauds that take place in the stock market. 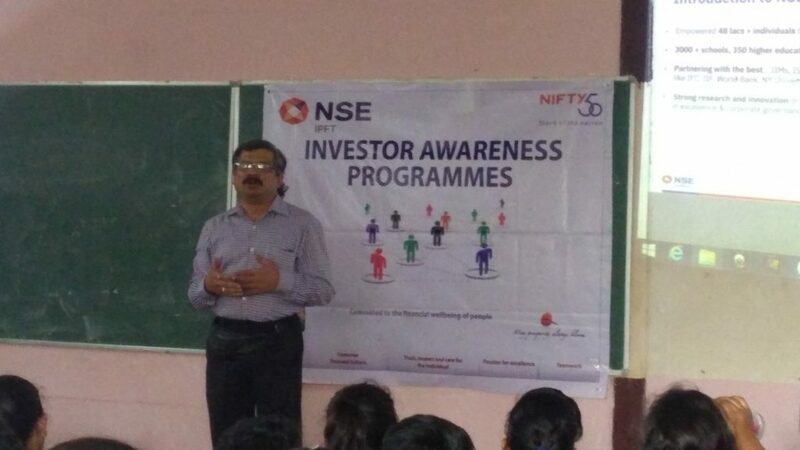 He explained the various precautions that an investor should take while operating in the stock market. He also emphasised about the various risk factors involved in dealing with market securities. Mr. Kulkarni enlightened the students about different career opportunities available in the financial sector. He urged them to undertake short term certified courses conducted by NSE Academy to be qualified for taking up jobs in the financial sector. The details about the courses offered by NSE Academy were put forth to the students. The programme was very enlightening and informative. The programme was coordinated by Ms. Maria DifaFernandes, HOD, Commerce. 113 students attended the programme.